McDaniel College's Department of Art and Art History presents Paintings by Katherine Mann, February 21-March 16 in The Rice Gallery in Peterson Hall. Katherine Mann received her Bachelor of Arts from Brown University and her Master of Fine Arts from the Maryland Institute College of Art. She is the recipient of a Fulbright grant and the Toby Devan Lewis fellowship, and is a fellow in the Washington, DC So-Hamiltonian Fellows program. She has participated as an artist in residence at the Virginia Center for the Arts, Blue Sky Dayton, Vermont Studio Center, Salzburg Kunstlerhaus and Triangle Workshop residencies, and has been awarded the Anderson Art Ranch and Bemis Center residencies for 2011 and 2012. 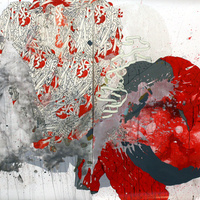 Mann is currently an instructor at the Maryland Institute College of Art. The exhibit is free and open to the public. For more information about the artist, please visit www.katherinemann.net/. For information and gallery hours, please call 410-857-2595.